Black knot is a fungal disease that attacks fruiting trees and bears the resemblance of a black burnt rope wrapped around the branches of a tree. Before you get too concerned, it is important for you to know that this type of fungus is easy to control. Although its prevalence poses a huge risk to trees and garden aesthetics, detecting it in its early stages and removing it is a fairly uncomplicated task. Black knot destroys trees by aggravating tree branches against their own well-being. It causes increased growth of plant cells that end up distorting and stunting the tree. The growth of black knot is enabled by its ability to maintain a low profile until it’s indestructible enough to exhibit an unpleasant charcoal appearance. The fungus primarily develops in warm and wet springs. Vigilance is required on our part to detect black knot in its early stages, when it appears to be a mere brown swelling on the branches. It is transported to other trees in forms of spores that are carried by the wind and latch onto neighbouring trees. Germination of spores on stems occurs underneath a thin layer of moisture. Covered by leaves that it will eventually kill, black knot takes the shape of minuscule olive colour bumps that will darken throughout the seasons and years. The galls grow rapidly in humid temperatures and eventually release their own spores. Chemical treatments and astute pruning at this point are ineffective since the spores are bound to spread. Prevention is more effective than a cure in the case of black knot. We have listed a few measures you can take to protect your trees from the invasion and attack of this fungus. First things first, examine your fruit trees regularly and stay on a lookout around leaf axils and twigs for any signs of fungal diseases, such as swelling, cracks, and discolouration. The assessment is particularly effective in winter months when black knot can’t hide under the shield of leaves. Spore growth is also alleviated in cold temperatures. It is an ideal time to remove all the knots that may have formed during the warmer months. You can carry this step out effectively by cutting four to eight inches around the infection and entirely removing branches with a significant presence of spores. A chisel and pruning knife can be used to complete this task. If the pruned wood is disposed of incorrectly, the spores present on it can easily spread and infect other trees. Make sure to dispose the branches and stems by either burning them or burying them. Do not throw the infected components into your compost. Use a mixed solution of a half a cup of bleach in a gallon of water to clean all the tools you use to carry out the pruning. Some organic and non-chemical methods of safeguarding your trees entail spraying them with lime sulphur or copper sprays during the dormant period. Your trees are at a constant risk of infestations. Arbor Man Tree Care provides disease and insect diagnosis management as soon as you call us! We are committed to sharing our professional expertise with you and increase our own knowledge to provide your trees with the finest healthcare. 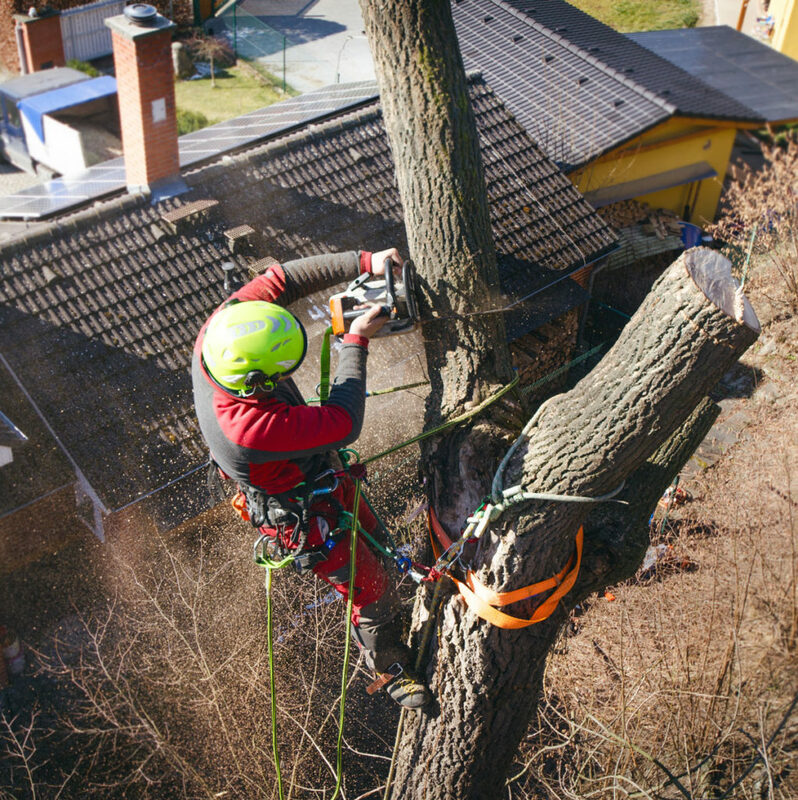 Arbor Man employs “ISA Certified Arborists” who show up at your site with high-quality equipment. Need help with Black Knot?